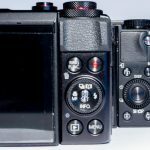 Compact cameras with huge sensors are becoming more popular for the high image quality they deliver in a format much more compact than the DSLR. That is the case with the Sony RX00-III and the new Canon PowerShot G7 X recently presented at Photokina 2014. 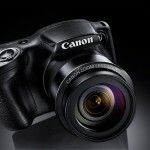 Canon’s camera comes with a 20.2 megapixel resolution in its 1-inch, backlit sensor, along with a lens with a range of 24 to 100 mm, equivalent to a more than 4x zoom. The maximum aperture is f/1.8 and the minimum goes up to f/2.8 at the lens’s maximum zoom. The processor driving this sensor and the rest of the camera’s other functions is the DIGIC 6 that we’ve already been able to see on the company’s other cameras. 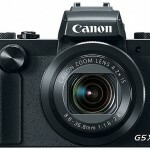 This chip gives the Canon PowerShot G7 X the ability to take 6.5 images per second and an ISO sensitivity from 100 to 12,800. The camera can also record 1080p video at 60 frames per second, though we currently don’t see any support for 4K video. The rear touch screen serves as a visualizer and can double its three inches thanks to a collapsible hinge, a characteristic that, similar to NFC and WiFi support, is a staple of all new cameras.